Hurry: you only until the afternoon of November 4th! Grow ops often represent a great investment opportunity for investors with some trade skills. The advantage of 23 Harvest Park is that half of the job is already done — it is already remediated, with Alberta Health certification for restored air quality. No masks are needed. The property has been stripped to the studs, ice-blasted, and Benefect treated. Its foundation has been repaired and it’s ready for rebuilding. It features over 1,300 square feet on the main floor with two bedrooms, a terrific kitchen and living room area, and a huge basement open for development. The property has had a new furnace, a new hot water tank, and a new electrical panel installed. Situated in a superb location with a large lot and double attached garage, this is an opportunity not to be missed. Practically all of the hard work has already been done. All offers must include a Bank Schedule A. Tendering offers will be through a sealed bidding process. 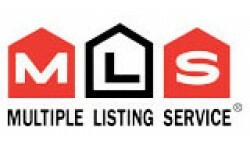 Offers must be submitted to the listing agent in a sealed envelope with a Schedule A and will be reviewed the afternoon of Friday, November 4th, 2011. Calgary MLS records show that this property was sold in 2008 for $442,000. The property back then was a fully finished, nice home. To bring the property back to the same condition as it was before, the estimated cost is about $70,000. Similar properties in Harvest Hills sell for around $400,000.